Star spotted speeding near black hole at centre of Milky Way — Astronomers have observed a star speeding close to the massive black hole at the centre of the Milky Way for the first time. The observations, made using the Very Large Telescope in Chile, tracked a star called S2 as it passed through the extreme gravitational field at the heart of our galaxy. As the star approached its nearest point to the black hole on 19 May, it was accelerated to mind-boggling speeds, causing it to be subject to effects predicted by Einstein’s theory of general relativity. ~ This remarkable observation required a telescope powerful enough to see a tennis ball on the moon from Earth. Damp Moon — Scientists from Birkbeck, University of London speculate that recent results show that the moon is wetter than scientists have previously thought, increasing the possibility for it to have the necessary conditions for life. “Whether life ever arose on the Moon, or was transported to it from elsewhere, is of course highly speculative and can only be addressed by an aggressive future program of lunar exploration,” they write in the article, published in the journal Astrobiology. ~ Yay, something intrinsic with which to damp down that ‘killer dust‘! Packs of robot dogs — By July of next year, Boston Dynamics will be producing the SpotMini robot dog at the rate of around 1000 units per year. The broader goal is to create a flexible platform for a variety of applications. According to Raibert, SpotMini is currently being tested for use in construction, delivery, security, and home assistance applications. The SpotMini moves with the same weirdly smooth confidence as previous experimental Boston Dynamics robots with names like Cheetah, BigDog, and Spot. ~ As long as they also build robot owners to pick up the robot dog pooh, I’m good with it. Lithium-in battery recycling — Zheng Chen, a 31-year-old nanoengineer at UC San Diego, says he has developed a way to recycle used cathodes from spent lithium-ion batteries and restore them to a like-new condition. The cathodes in some lithium-ion batteries are made of metal oxides that contain cobalt, a metal found in finite supplies and concentrated in one of the world’s more precarious countries. The Los Angeles Times reports it works works by regenerating the degraded particles. Nano-sliced fruit fly brain — Two high-speed electron microscopes, 7062 brain slices, 21 million images. For a team of scientists at the Howard Hughes Medical Institute’s Janelia Research Campus in Ashburn, Virginia, these numbers add up to a technical first: a high-resolution digital snapshot of the adult fruit fly brain. Researchers can now trace the path of any one neuron to any other neuron throughout the whole brain, says neuroscientist Davi Bock, a group leader at Janelia who reported the work along with his colleagues on July 19 in the journal Cell. ~ OK, now teach it not to ruin the wine. Russian scientists claim to have resurrected 40,000-year-old worms buried in ice — They apparently discovered ancient nematode worms that were able to resurrect themselves after spending at least 32,000 years buried in permafrost. ~ Now they will have to learn all about the internet and everything. ‘New’ dinosaurs from China — The gigantic, long-necked sauropods are an iconic group of dinosaurs – and it seems scientists have discovered a new one. Palaeontologists were able to define the new species, known as Lingwulong shenqi, using seven to 10 partial skeletons from four separate dig sites in China. 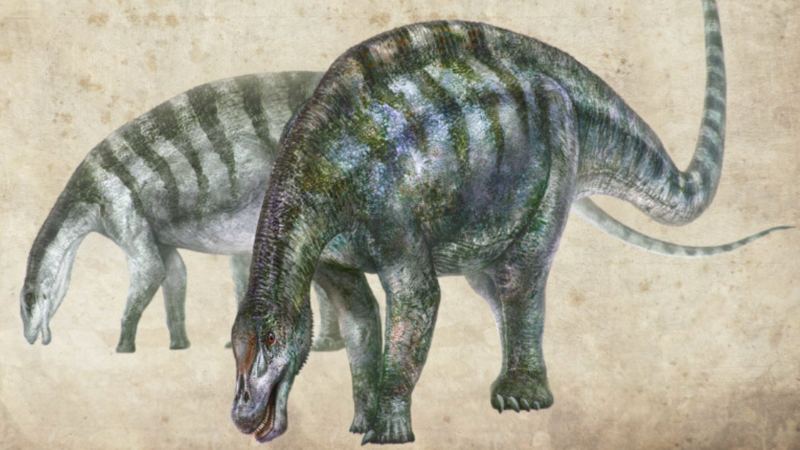 The new fossils date back to 174 million years ago, making Lingwulong the earliest known neosauropod. ~ Well, I’m no expert, but they look a lot like all the other ones to me.